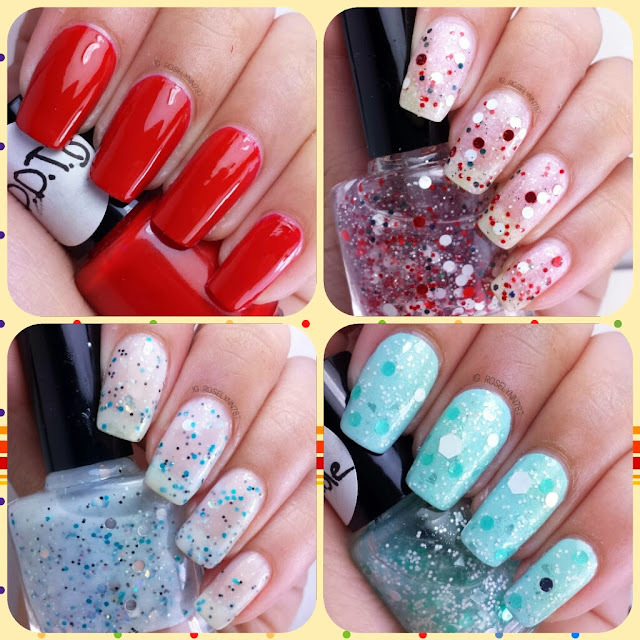 Two polishes are from CDB Lacquer and the other two are from Whooty Hoot Creations. Each maker created one based on Marilyn and one based on Audrey. I'll be breaking this review down per maker so let's start with Whooty Hoot Creations. 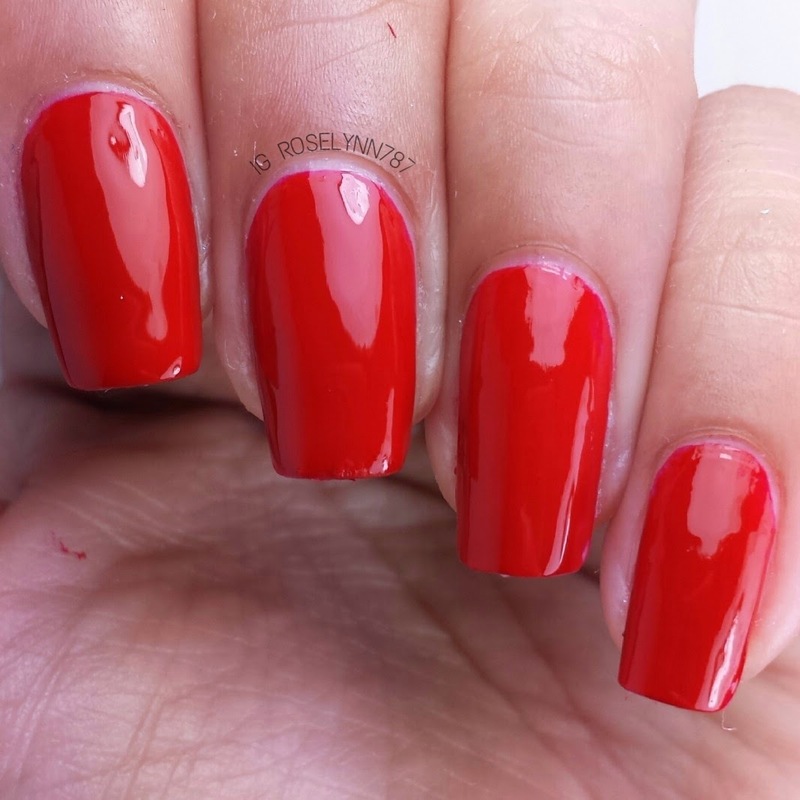 Don't Deserve My Best is a bright red creme polish based on Marilyn Monroe. I seriously don't know why I don't paint my nails red more often. 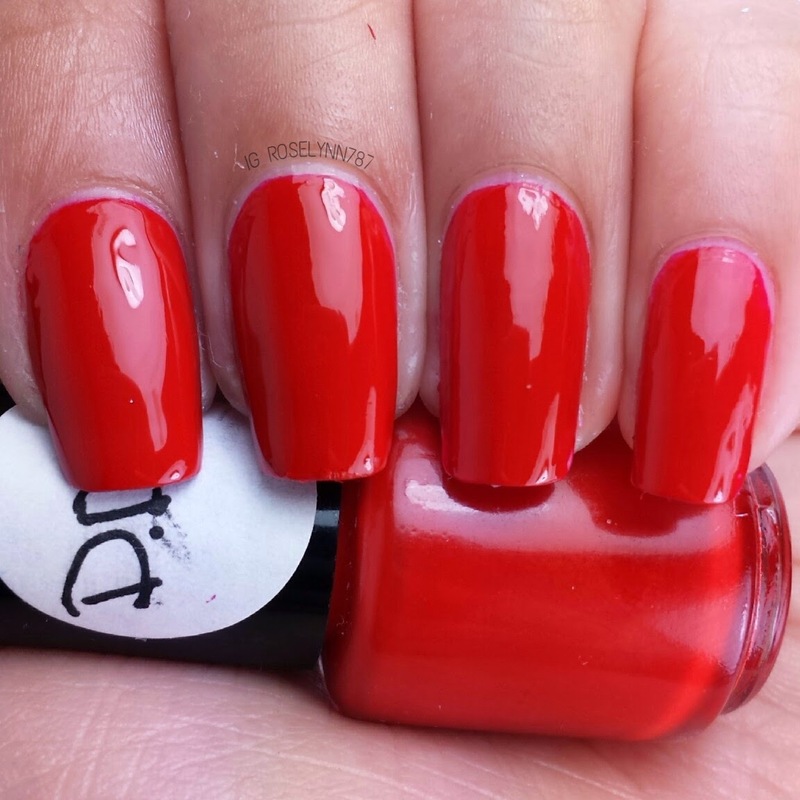 I have very fond memories of being a kid playing dress up and grabbing my mom's red polish. 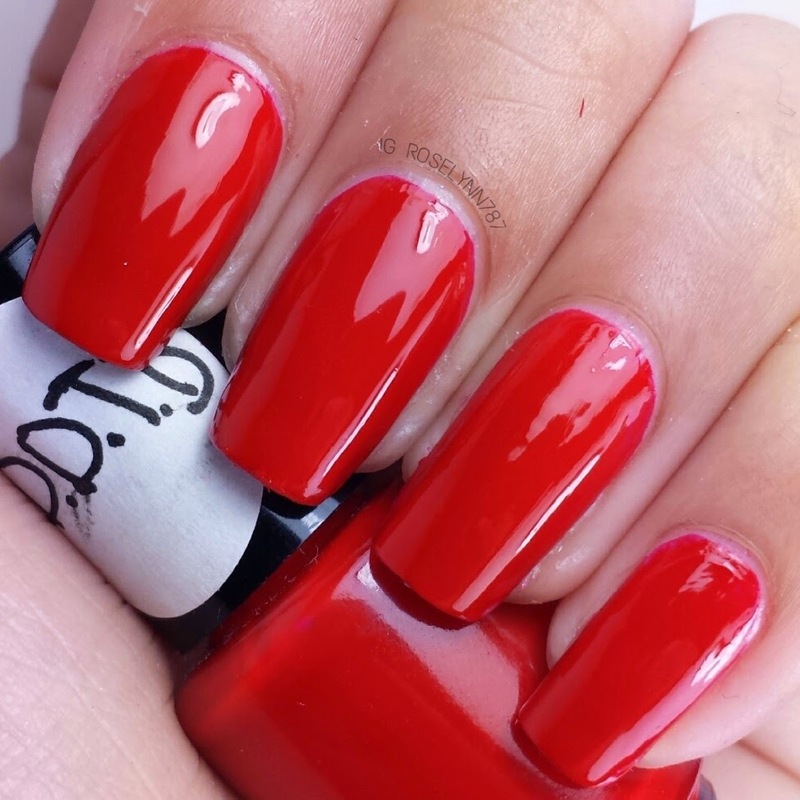 This beauty is simply the perfect shade of red, always a classic. Very Marilyn. Swatched over a clear base coat, used two thin coats, and sealed with a fast drying topcoat. 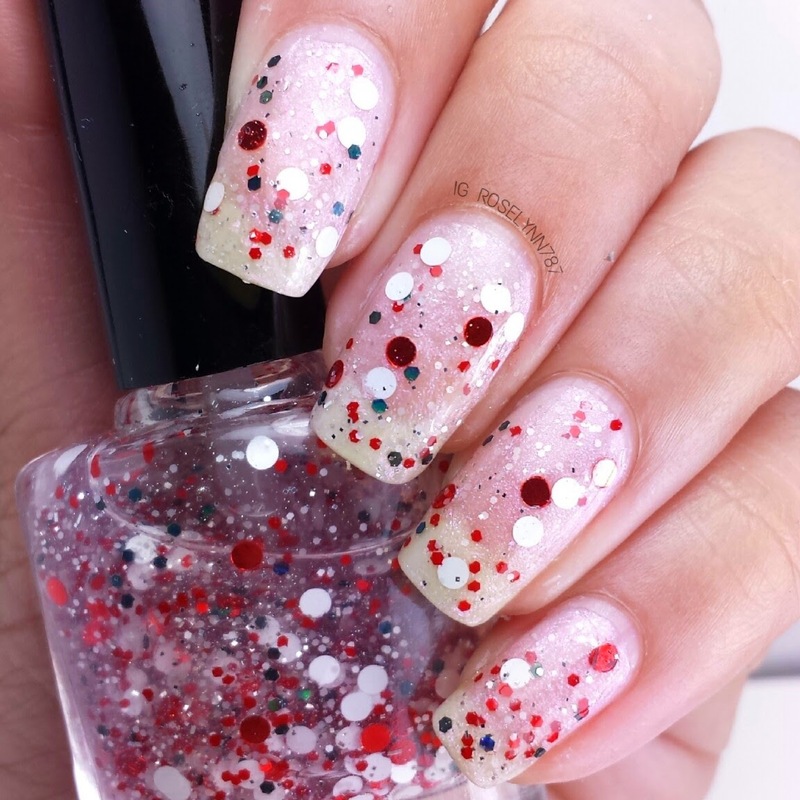 This is a creme polish and as such you have to mind your brush strokes. I was pleasantly surprised with the formula. It was very slick and easy to apply and gave me no trouble. From the short time I had it on, I didn't experience any staining either which is always nice to hear. I don't have any red like this in my entire collection. Definitely recommend picking this one up if you're looking for a red creme. 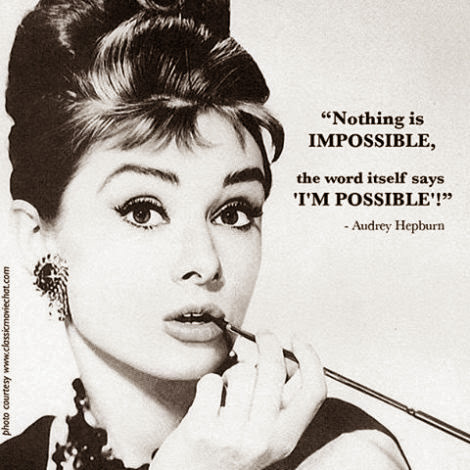 I'm Possible is a sheer glitter topper based on Audrey. This glitter topper is filled with an array of white, aqua, and light teal hex glitters. It also looks to have some silver holo hexes as well. 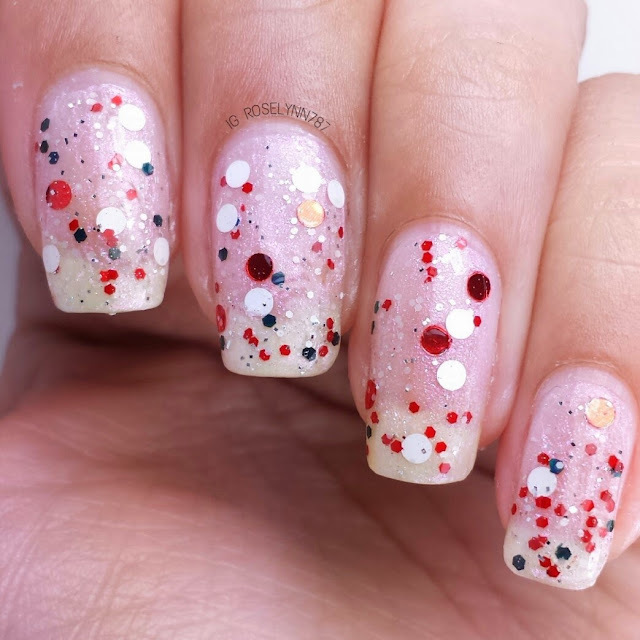 I love the glitter combination in this one from the colors to the shapes. It just feels very soft and feminine to me. If you've seen the macro shots you'll notice that this polish is supposed to have white bow-shaped glitters. I, unfortunately, did not get any in my mini reviewer bottle. But don't worry guys, the bow-shaped glitters are definitely in the large bottles. 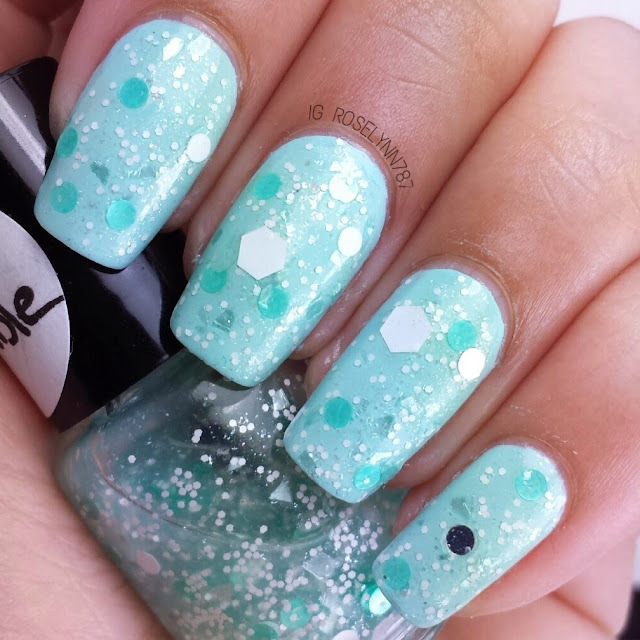 Swatched over Essie's Mint Candy Apple, used three coats with the dabbling method, and sealed with a fast drying topcoat. I had to use an undie because otherwise this beauty is too sheer on it's own. Because of the heavy glitters, you'll have to use the dabbing method to get the best application. The formula is great and easy to use. I only had to do a little bit of fishing for the large white hexes. Now I'll show you the two beauties created by CDB Lacquer! Nothing is Impossible is a white crelly polish inspired by Audrey. 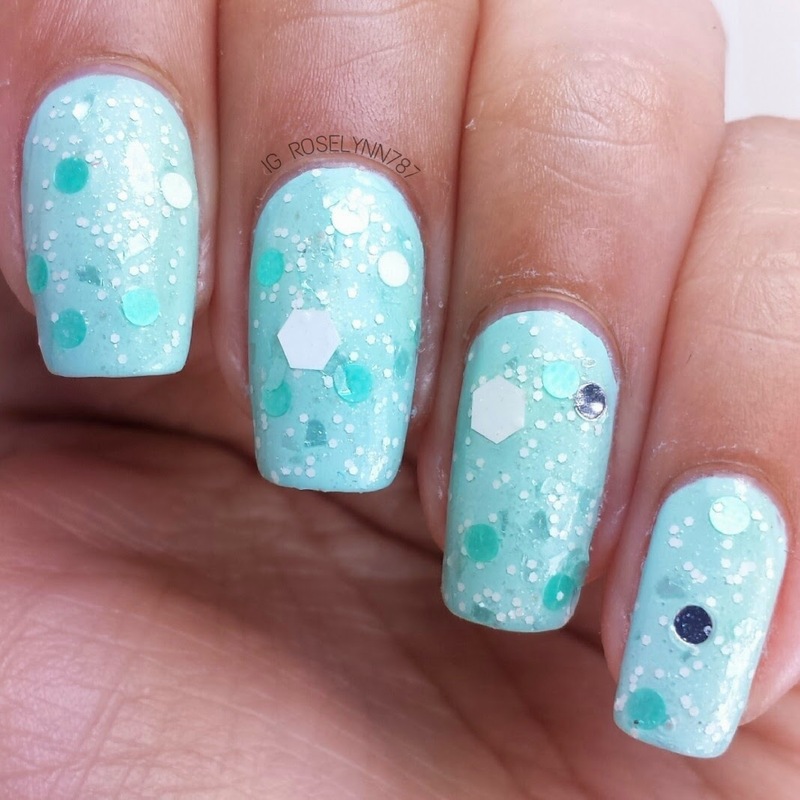 It's filled with black, silver, aqua and teal hexes as well as silver dots. Words cannot express how much I adore this polish. 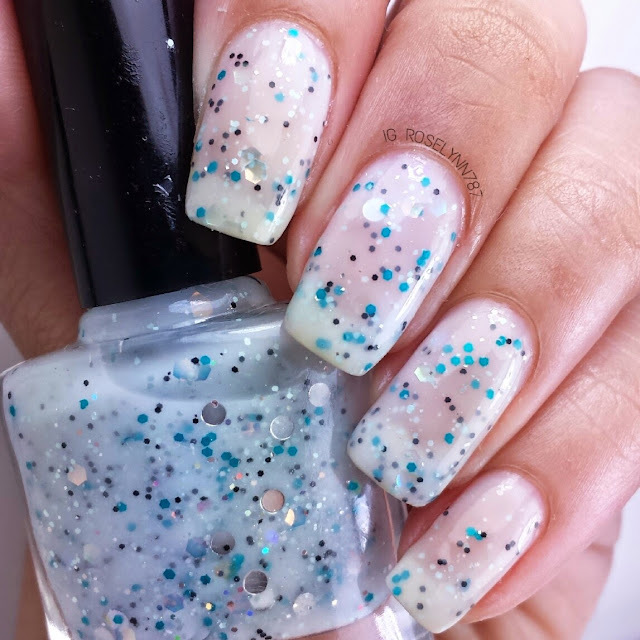 Perfect glitter combination, it has a soft sophisticated feel. I can totally see the Audrey Hepburn inspiration in this. Swatched over a clear base, used two thin coats, and sealed with a fast drying topcoat. You can see by the swatch photos it's a sheer crelly, however, I loved how it looked in two coats with a little sheerness still left. You'll need at least three to four coats if you want to achieve full opacity. I had no problems with the formula, very smooth and no clumping. A definite must-have for crelly lovers. Can't Handle My Worst is a clear glitter topper inspired by Marilyn. Filled with red, white, and black varied sized hexes. 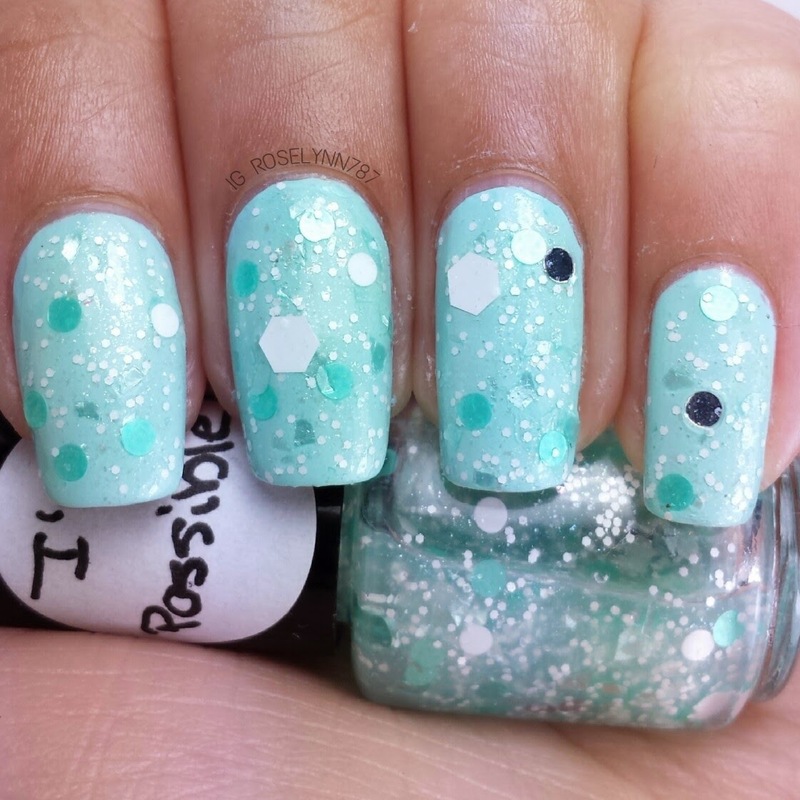 It's hard to pick favorites amongst all these beautiful polishes but this one is it for me. 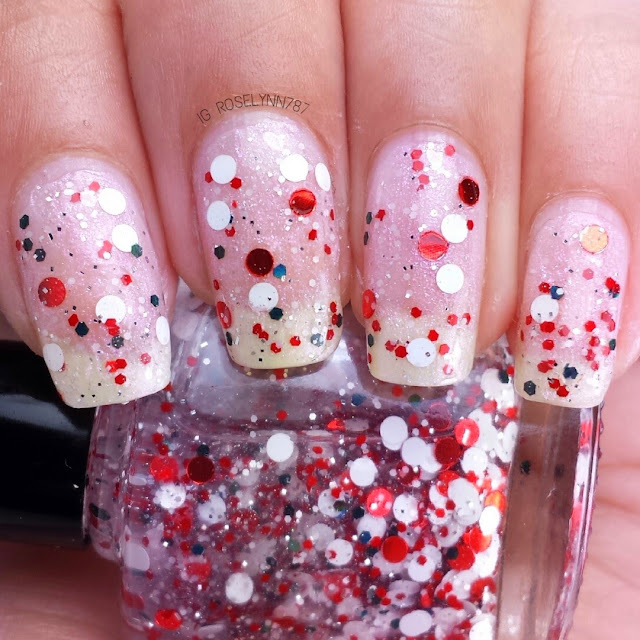 It screams Marilyn to me, beautiful glitter topper. Swatched over OPI Int'l Crime Caper, used 3 thin coats using the dabbing method, and sealed with a fast drying topcoat. 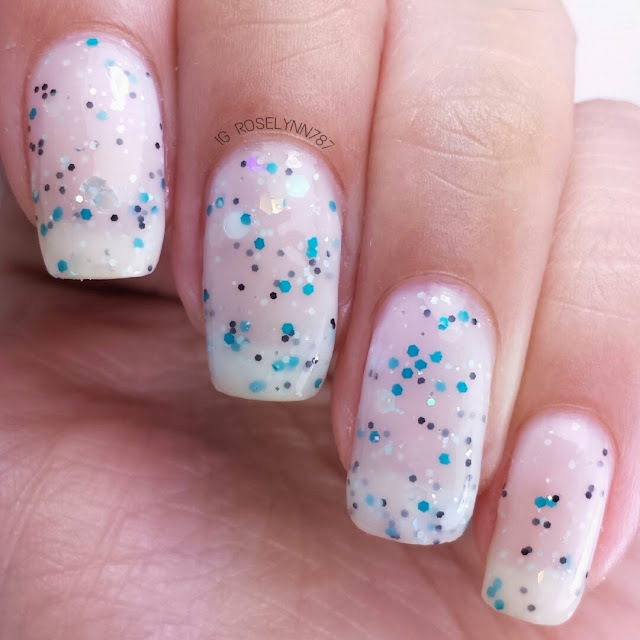 Perfect formula, no glitter fishing. The undie I used was a sheer one as well just cause I love the way it looks. It is a clear topper though so feel free to use any undie with it. Overall I'm completely head-over-heels for this collection. Marilyn and Audrey were two beautiful woman who's grace and style transcend time, this collection fully amplifies that. Even for those who aren't a fan of these woman (though I don't know anyone who doesn't at least love one of them), the polishes in this collection are a fantastic addition to anyone's collection. Fantastic formula and applications all around. Each one retails for $8.00 and $7.00 in their respective stores. 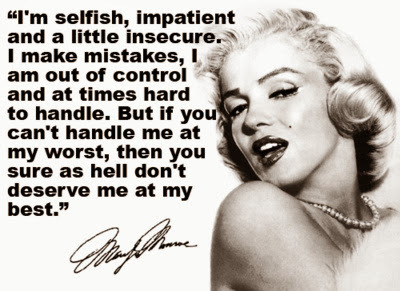 If I had to pick favorites, I'd definitely say the two Marilyn inspired ones win me over. I'm a girl who LOVES red so who can blame me. Also I'd like to include, in case you guys didn't notice, the names off the polishes are based on two famous quotes from each of the ladies. Don't miss out on these limited edition beauties available for purchase now.